After a first mistake and glimpse, LEGO NXT brick in black, is finally out. It was announced yesterday on 'The NXT STEP' and today it re-appeared at Shop@Home North America, MINDSTORMS section. This limited release is part of the MINDSTORMS 10th anniversary. Because it celebrates the year (1998) when the original MINDSTORMS was launched , there were also just produced a limited quantity of 1998 units, from this special color version. It can be now ordered through S@H (US/CAN only) and BlueToothKiwi/Amazon.com for $169. To bad, it is not available for Europeans from S@H. So if you really want one, you have to risk for heavy customs taxes. Lets keep crossed fingers and wait it could get on sale, also this side of the world (despite it is an highly priced item, even almost exaggerated). You may find the S@H product description, copied at bottom of this post. As you can see, this version HW specifications are the same as for the standard NXT 1.o version. Despite being a limited edition collectible item, this NXT brick version as I wrote earlier, may also be very adequate to nicely integrate into some TECHNIC constructions, due to its black color. Unfortunately we didn't get other NXT parts like motors and sensors, in black too. 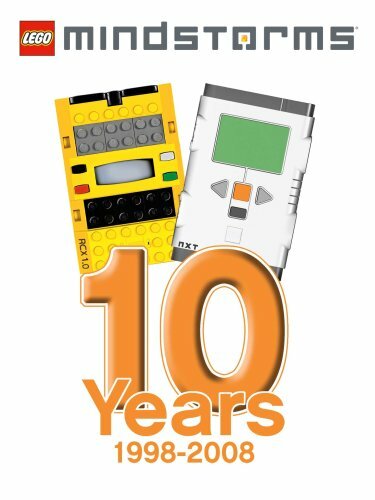 Now you can be the proud owner of one of the Limited Edition Black NXT micro-controllers that have been produced to celebrate the 10 year anniversary of LEGO MINDSTORMS! The first LEGO MINDSTORMS products came out in the year 1998 and have since then continued to bring fun and active building and programming experiences to millions of robotic builders across the world! Once you have bought and received your new Black NXT you will get access to exclusive materials like a special-made program for the Black NXT, a personal certificate of ownership, wallpapers, and building instructions for special models! 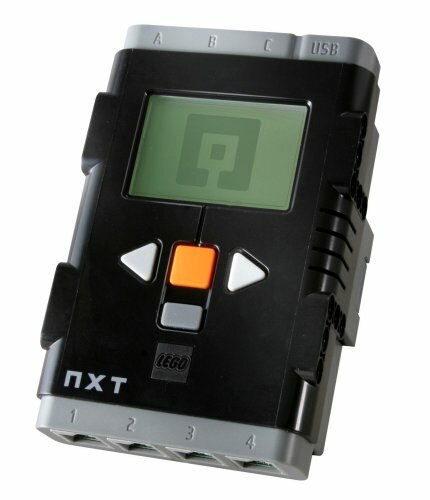 The Limited Edition Black NXT, your robot’s “brain”, features a powerful 32-bit microprocessor and Flash memory, plus support for Bluetooth™ and USB 2.0! Support for Bluetooth wireless communication. Powered by 6 AA (1.5v) Batteries, not included, or lithium Rechargeable Battery (#9798), sold separately. Up to three NXT Bricks can be connected at the same time; however, you can only communicate with one NXT Brick at a time. This is the individual component, and does not include any sensors, motors, cords, software or other accessories; for the complete LEGO® MINDSTORMS® NXT set, please see item #8527.